Today, nearly 100 years after her birth and a few years shy of the 50th anniversary of her death, Vivien Leigh remains one of the most famous and beloved film stars of all time. This is all the more remarkable when one considers that she made a total of 19 films, far fewer than most of the big names to emerge during the Golden Age of Film. To this day she remains one of the most iconic actresses of all time, with books, documentaries, merchandising (mostly related to her role as Scarlett O'Hara in Gone with the Wind), and web sites dedicated to her. Among those many web sites is VivAndLarry.com, dedicated to Miss Leigh and her long time husband and collaborator Lord Laurence Olivier. Chances are that if you are a classic film buff, then you are not only familiar with this website, but its webmistress as well, Kendra Bean. You might also know that for the past five years Miss Bean has been working on a coffee book about the life and work of Vivien Leigh. This month saw the culmination of that work with the publication of Vivien Leigh: An Intimate Portrait. As a coffee book Vivien Leigh: An Intimate Portrait is most impressive. It has a large number of photographs, including many never before published photos by Angus McBean, who photographed Vivien Leigh for the entirety of her career, from her earliest days on stage to her death. I must also say that I really appreciated the layout of the book as well. Too often coffee books are put together in such a way that it interferes with both reading and sometimes even looking at pictures. This is not the case with Vivien Leigh: An Intimate Portrait, whose layout flows quite well. Indeed, while I usually don't notice such things, I have to say I was even impressed by its typography, which is both easy to read and aesthetically pleasing. The cover, with a photograph of Vivien Leigh at her most beautiful and her name in electric blue, numbers among the most eye catching book covers I have seen in a long time. Running Press did a very good job of putting Vivien Leigh: An Intimate Portrait together, creating a book that is nearly as beautiful as its subject. Here I do not wish to give the impression that Vivien Leigh: An Intimate Portrait is a picture book. For a coffee book it has a good deal of text. 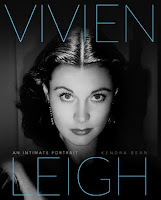 While it is not an in depth biography of the sort that Hugo Vickers' Vivien Leigh: A Biography is, Miss Bean gives the reader a good overview of Vivien Leigh's life and career. She does a particularly good job of addressing Miss Leigh's relationship with Lord Laurence Olivier, her husband for many years. This should not at all be surprising. Beyond her obvious talent as a researcher and writer, Kendra Bean had access to the Laurence Olivier Archives with its literal treasure trove of private letters and documents. For a coffee book, then, Miss Bean gives considerable insight not only into Vivien Leigh's career, but her unfortunate struggle with bipolar disorder. Here I must say that while Miss Bean is obviously a fan of Vivien Leigh, she does not shy away from the more unfortunate aspects of Miss Leigh's life. That having been said, she presents Miss Leigh in a most sympathetic light, while also presenting her as an all too human woman with a very serious illness. Vivien Leigh: An Intimate Portrait is an extraordinary tribute to an actress who has remained an object of fascination since she first appeared on stage. It gives a very balanced and objective, but at the same time sympathetic view of a film star who is still considered one of the great beauties of her time as well as one of the most talented actresses of the Golden Age of Film. 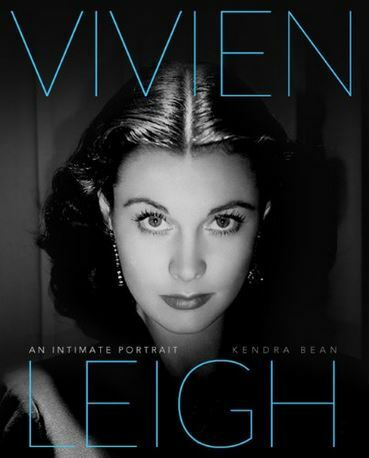 Vivien Leigh: An Intimate Portrait would be an excellent addition to any Vivien Leigh fan's collection.